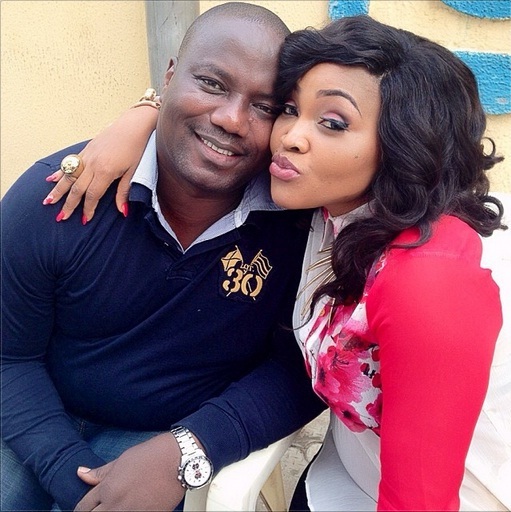 Nollywood actress, Mercy Aigbe marriage crisis is getting serious by the day. 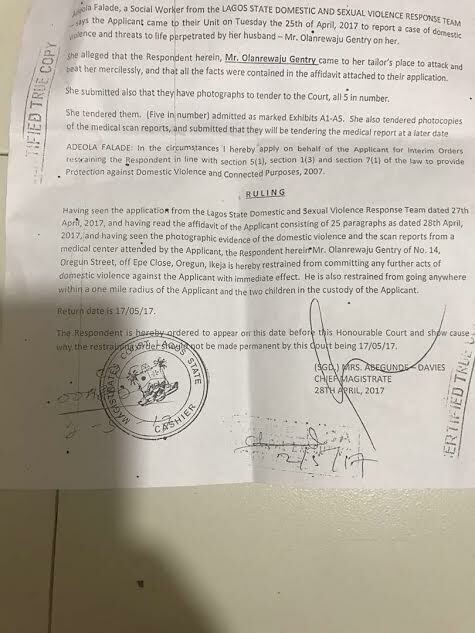 Reports exclusively obtained copy of a signed restraining order with suit number: FC/AL/25/2017 issued by the Ikeja Magistrate court. 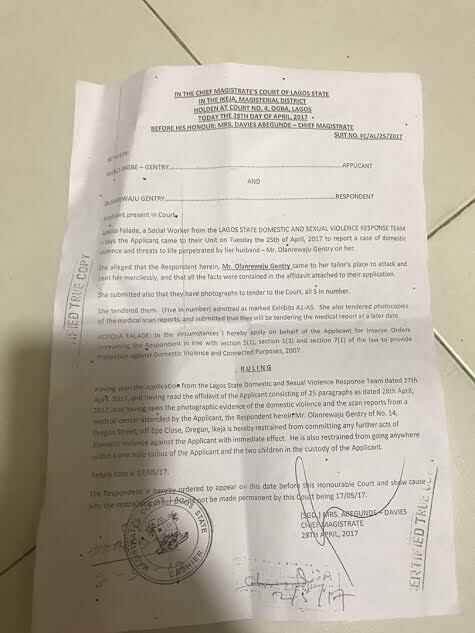 Information also confirmed that Larry has been served with the papers as at yesterday evening.